Orphaned by hunters, Tita was nearly dying when she arrived at CCC. 7 months later, she transformed her pain into strength. 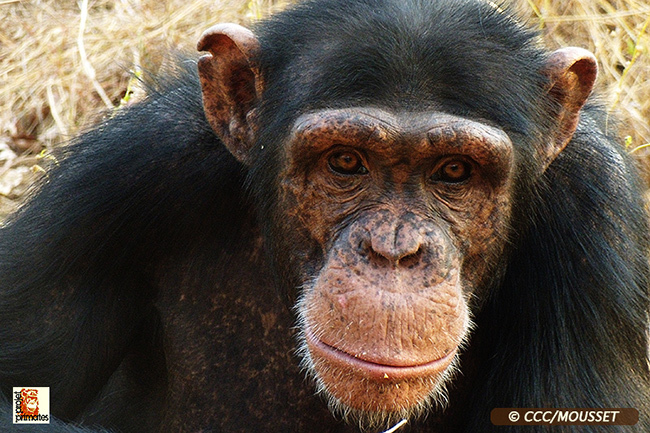 Help the sanctuary care for more orphaned chimpanzees. Orphaned by the pet trade, chimpanzees in Guinea, West Africa, arrive at the Chimpanzee Conservation Center with a life-threatening array of problems. The Center’s goals are clear: Care for these orphaned chimpanzees and retrain them for life in the wild. The Chimpanzee Conservation Center, in Guinea’s Haut Niger National Park, works to preserve the endangered chimpanzees in West Africa. Seized from illegal poachers, most orphans come to the Center with life-threatening health problems and serious psychological disorders caused by abuse, captivity and malnourishment. The Center focuses on “re-wilding,” taking orphaned chimps on daily outings to teach them how to climb, forage, build nests and communicate with other chimpanzees in the wild– all vital for survival. Re-wilding takes many years of training before a successful release is possible.